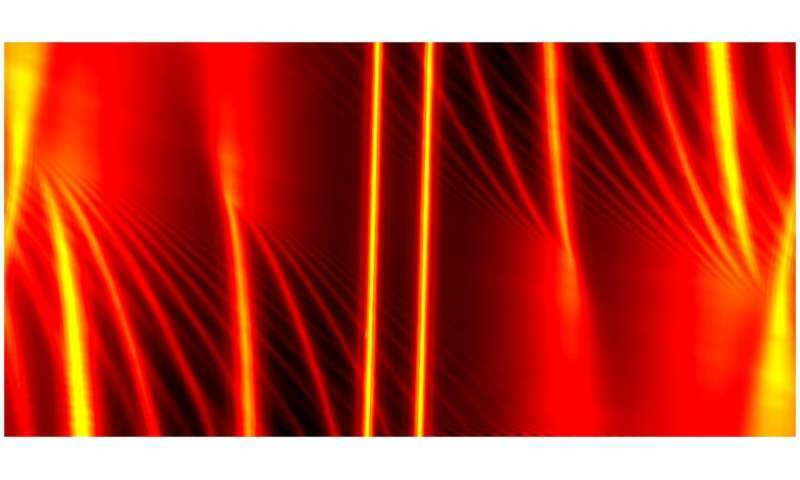 A new technique makes it possible to obtain an individual fingerprint of the current-carrying edge states occurring in novel materials such as topological insulators or 2-D materials. Physicists of the University of Basel present the new method together with American scientists in Nature Communications. While insulators do not conduct electrical currents, some special materials exhibit peculiar electrical properties. Though not conducting through their bulk, their surfaces and edges may support electrical currents due to quantum mechanical effects, and do so even without causing losses. Such topological insulators have attracted great interest in recent years due to their remarkable properties. In particular, their robust edge states are very promising since they could lead to great technological advances. Until now, it was not possible to address the numerous current-carrying states individually or to determine their positions separately. The new technique now makes it possible to obtain an exact fingerprint of the current-carrying edge states with nanometer resolution. This is reported by researchers of the Department of Physics and the Swiss Nanoscience Institute of the University of Basel in collaboration with colleagues of the University of California, Los Angeles, as well as of Harvard and Princeton University, USA. In order to measure the fingerprint of the conducting edge states, the physicists led by Prof. Dominik Zumbühl have further developed a technique based on tunneling spectroscopy. They have used a gallium arsenide nanowire located at the sample edge which runs in parallel to the edge states under investigation. In this configuration, electrons may jump (tunnel) back and forth between a specific edge state and the nanowire as long as the energies in both systems coincide. Using an additional magnetic field, the scientists control the momentum of tunneling electrons and can address individual edge states. From the measured tunneling currents, the position and evolution of each edge state may be obtained with nanometer precision. "This new technique is not only very useful to study the quantum Hall edge states," Dominik Zumbühl comments the results of the international collaboration. "It might also be employed to investigate new exotic materials such as topological insulators, graphene or other 2-D materials."